The first experimental radio programmes broadcast by Romania for listeners in foreign countries were music programmes. That was in 1927, a year before the National Radio Broadcasting Society was established. A 19th century building in Bucharest, which today is home to the Museum of Romanian Literature, served as the location of the University Electrotechnical Institute in the 1920s. Historian Eugen Denize, a highly documented researcher of the history of Romanian radio broadcasting, says that a Romanian broadcasting station with a 200W power and operating in the 280m band was built in the labs of that Institute in 1927. Already the third Romanian experimental radio station, but in this case the programmes were announced in four languages: Romanian, French, German and Italian. With a range of action measuring roughly 1,000 km, the station could also be picked up abroad, in Europe and the Middle East. Historian Eugen Denize writes: “for the first time audiences could listen to the artists of the Romanian Opera House on that station. It also broadcast the concerts of the Romanian Athenaeum and also Beethoven’s Symphonies in the winter of the same year”. Therefore, we could say that 1927 was the birth date of experimental radio shows broadcast from Romania and targeting listeners abroad. Although the station was functioning on the premises of the Electrotechnical Institute and was not an official one, its programmes actually targeted listeners abroad as well and - quite importantly - it had the technical capability to reach them. In the beginning, as only natural, radio communication was not limited by borders, save those of a technical nature. But the good times were soon brought to a halt by the dictatorial regimes - be it the Nazi or the communist regime - which discovered the role of interference and jamming and also of deceitful or simply hostile propaganda. But let’s return to the inter-war kingdom of Romania. The first official broadcast in Romanian was aired on November the 1st, 1928, on a 400 Watt transmitter, in the 401.6 metre band. The address of the new Radio-Phone Broadcasting Society (as it was named in the beginning) was the same with our address now: 60-64 General Berthelot Street, right in the heart of Bucharest. Two decades had elapsed since the first wireless telegraphy station was made operational in the Black Sea Constanta Port (in south-eastern Romania). In 1932 the broadcasts could be picked up as far as the other side of the globe, in New Zealand. Two years previously, the Romanian Consulate in Palestine had informed Romanian authorities that a large number of people from Palestine were requesting that the national radio station in Bucharest should also broadcast information in French. However, the first formal broadcasts in foreign languages of the Romanian Radio Broadcasting Corporation (SRR) were conceived in the early 1930s, in order to inform the diplomatic corps in the Romanian capital city. Eugen Denize makes the following remarks in his first volume devoted to the history of SRR:” The first broadcasts of this kind started in 1932, namely Newsreels in French and English, aired before the end of the programme, a quarter of an hour before midnight. Before the end of the daily programmes in Romanian, the so-called “miniature talk-shows” were broadcast, which referred to specific Romanian life, as a document of our archives says. They provided brief information in French and German (we quote from a document of the time) about “ the wealth, economy, culture and creations of Romania”. There followed Newsreels in Italian and German, alternatively broadcast with those in English and French. In the following years, with the establishment of the National Radio Corporation, foreign audiences were to become the subject of thorough research by the authorities. Romania, just like other countries had discovered an extraordinary instrument of making itself known worldwide. Special evenings dedicated to other countries were organized. Exchange programmes were introduced and after 1930 pages of classical Romanian literature were periodically transmitted in French, Italian and German. However, the information is not very precise and recollections or even written sources generate a rather blurred picture, which makes it all the more fascinating. It is the picture of a still and idyllic period in the history of Europe and of the world, which although had gone through a world war and had started to get in touch with Stalin’s USSR and Hitler’s Germany, had not experienced the horrors of the past century-Nazism and communism. Browsing the review “Radiophony” issued before World War II, our colleagues from the SRR Archives Department discovered that in March 1933, at 23:00 hours, Bucharest time, (21:00 GMT), taking advantage of the fact that its broadcasts were received throughout the Mediterranean, in Germany and even in Australia, the Romanian Radio Broadcasting Corporation started airing a broadcast titled “Update for Foreign Countries” twice a week. On Tuesdays, the broadcast was aired in French and on Fridays and then on Thursdays, it was transmitted in German. It was actually a dialogue on Romania’s artistic life, tourist offers and sometimes on its economic opportunities. The first discussion in French headlined “Artistic Life in Romania” was given by Professor Alexandru Busuioceanu on March 21st 1933. The first discussion in German under the heading “Literary Life in Romania” was given by Paul Zarifopol on March 24th 1933. With small breaks, various other talks were given on the great Romanian poet Mihai Eminescu, on the novel “The Uprising” by Liviu Rebreanu, on Byzantine monuments in Romania, the Romanian landscape, Romanian folk poetry, spas in Romania, the Little Entente, economic news, Romanian theatre and painting, castles in Romania, the city of Bucharest, Romania’s hills and plains, etc. In August 1933, a letter sent in by Mr.John Hardle of Scotland confirmed, among other things, the good reception of the broadcast which apparently began with the announcement “This is Radio Bucharest - broadcasting on an experimental basis”, against the background of piano music. It seems that the first letter received from abroad came from Egypt. The first letter from Italy was sent in by Mr.Oscar Laurenti of Naples in 1934 and it was not written in Italian but in French. He wrote he had been thrilled by the way the opera Lucia di Lamermoor had been performed and wanted to be told details about the broadcasting station. As stated in the 349th issue of ‘Radio Adevarul’ of 1935, an international news programme in French and German was broadcast at 23.45 hours, Romania’s time. A milestone for Romanian international radio broadcasting is February 12th, 1939, when a complex programme about Romania was launched for America; the magazine ‘Radio Universul’ described it as a ‘propaganda instrument for Romania’s participation in the New York World Exhibition’. That programme broadcast among other things George Enescu’s ‘Romanian Poem’, a folk song performed by the great Romanian artist Maria Tanase, a folk dance tune performed by the orchestra conducted by Grigoras Dinicu, and Romanian folk songs performed by Valentina Cretoiu Tassian and G. Folescu. The issue of February 19th, 1939 of the magazine ‘Radio Adevarul’ described that programme as an ‘historic event’. The programme included interviews and music and was re-broadcast on American stations. No record of it has been preserved, but we do have a recording of Maria Tanase’s performing in that programme. The first confirmation of the fact that a programme produced in English by Radio Bucharest could be received in the United States is dated therefore February 1939, which is considered the birthday of Romanian radio broadcasts targeted at listeners across the ocean. The broadcasts in foreign languages were introduced as a result of a government initiative. Although the Romanian Radio Broadcasting Corporation was a joint venture made up of 60% state capital and 40% private capital, the decisions made by its Board would always reflect the best interests of the Romanian state. Those programmes were introduced precisely to make known to the world Romanian culture, realities and the events taking place in the Kingdom of Romania. They were a government initiative aimed at promoting Romania’s image abroad. “Overall the broadcasts in foreign languages held quite a big share of the programmes produced by the Romanian Radio Broadcasting Corporation between the two world wars; until World War II they were of a more general nature and were aimed at telling the world what was going on in Romania at that time. When the war broke out, they started to focus more on propaganda and when Romania joined the war, they, naturally, supported the country’s military actions on the eastern front”. The content of our international broadcasts was inspired from foreign radio stations, especially French and British ones. Eugen Denize points out that from the very beginning international broadcasts consisted of original productions and were not mere translations of the domestic broadcasts. They were a kind of review of the latest developments in Romania, of political, cultural, economic and sports news. Programmes covered Romania’s relations with other countries but also cultural events. Reception of those programmes abroad was poor, said Mr. Denize. Before World War II the French, English, German and Italian Services were broadcasting on medium waves, so they didn’t have a very strong impact abroad. But later, the first short wave station was inaugurated allowing our programmes to reach considerably farther. However in the late 1930s there were still many geographical areas in Europe where our programmes could not be picked up. The transmitters were located in the north of the capital city. The transmission was on 34.2 metre frequency, but the transmitter was not powerful enough to reach the whole of Europe. However reception of the programmes was very good in the Balkans and the Middle East thanks to the geographical configuration and the waves propagation. Radio during the "Warm War"
The outbreak of World War II brought about a growth and diversification of the information broadcast from Romania in foreign languages to audiences abroad. So, besides broadcasts in French, English, German and Italian, programmes in Greek, Turkish, Serbian, Russian and later Ukrainian were introduced. Programmes were, obviously, highly propagandistic during the war, serving Romania’s military and political purposes together with those of the Axis and, implicitly, Germany. On August the 23rd 1944 Romania joined the Allied Powers. At the end of the same year a new station was inaugurated. ‘Roman Dacia’ radio station was broadcasting in 5 languages: English, Russian, French, Hungarian and German. The war had not come to an end. The Roman Dacia Board decided to serve the cause of Romania’s integration into the United Nations Organisation and to promote Romania’s economic reconstruction and democratisation process. The studios in General Berthelot Street had been destroyed by German air raids. Programmes were broadcast temporarily from the nearby St. Sava College. A special Roman Dacia studio was set up in the festive hall of the college. The communist regime had left its mark on the history of the Romanian Radio Broadcasting Corporation. During the Cold War, east of the Iron Curtain, the idea of propaganda became all pervasive so that international broadcasts were used as a pure instrument for promoting the communist ideology. Nevertheless, cultural, sports and music programmes still found their way to foreign audiences. On December 21st 1946 a new international broadcasting station was set up, called Free Romania. The “Free Romania” Board report wrote: “our international programmes have been proof of the Romanian people’s efforts for the democratisation of the country.” To be read: communisation. In 1948 broadcasts in French, English, Russian, Serbian and German were being aired from Bucharest. In our attempt to write the history of international broadcasting we turned to the memories of many of our senior colleagues, but also to the radio archives and the Romanian Radio Golden Tape Library. The first broadcast in Romanian for foreign audiences was aired on July 10th 1950 and it was on short waves. It ran in parallel to the “Free Romania” programmes that were also broadcast on short waves. Both programmes were 30 minute long. In the following years a new programme was introduced: “The Romanian Broadcast for the United States”. That meant a geographical diversification that started from a reality, namely the existence of the largest Romanian community of immigrants, which was in the United States. In late 1955 a new programme was added “The Voice of the Motherland”, running in parallel with “The Romanian Broadcast for the United States” . Let’s not forget that 1955 was the year when Romania became a member of the United Nations Organisation. The Editor-in-Chief was a highly experienced journalist, Leon Sarateanu. The importance of the Voice of the Motherland programme was proved by the fact that the news bulletins were read by two of the golden voices of the Romanian Radio Broadcasting Corporation: Mihai Zirra and Marcela Rusu. It is said that the Romanian Service had gathered the creme de la creme of the Romanian Radio journalists in the communist authorities’ bid to give propagandistic programmes a more humane sound. The Romanian exile was clearly hostile to the communist regime, but the authorities in Bucharest hoped to win them back. So a Repatriation Committee was set up in Eastern Berlin chaired by General Cretulescu who served in the old Romanian Army. There was even a press organ: “The Voice of the Motherland” (in Romanian: “Glasul Patriei”), a newspaper with a massive distribution network abroad, based in Bucharest. On April the 12th 1958 “The Romanian Broadcast for the United States” became one and the same programme with “The Voice of the Motherland”, which in turn had geographically diversified programmes for Western Europe and the United States. The history of the French Service after the end of World War II started with Mrs. Andree Fleury whom some of our listeners had the privilege to hear. She died at the venerable age of 100 years. Some of her younger colleagues at the French Service in Bucharest continued their careers at big radio stations like Radio France, RFI and Radio Free Europe. Elena Murgu and Alain Paruit are just two examples. As for the pioneers of the English Service, they were Edith and Max Eisinger, a couple of radio enthusiasts educated in England. They were followed by reputed intellectual and journalist, Catinca Ralea, who did a series of exceptional interviews with world famous people like writers Saul Bellow, William Saroyan, Alvin Toffler and Iris Murdoch, musicians Yehudi Menuhin and Arthur Rubinstein, sculptor Henry Moore and politicians Margaret Thatcher and Edward Kennedy. And later by another truly remarkable voice Alexandru Fole. In the 1950s Radio Bucharest broadcast programmes in Russian for the Soviet army and Soviet experts. With their withdrawal, in the second half of the 1950s, those programmes stopped. At around the same time, programmes started to be exchanged with Radio Moscow, similarly to those which Soviet Radio exchanged with radio stations in most countries of the Soviet bloc. Those were programmes produced and recorded in Bucharest which were sent to Moscow and broadcast from there twice a week. In 1975, the Russian Service was set up as part of the Foreign Language Programmes Department and its first show was aired on short waves on December the 15th 1975. Romania thus became the first Warsaw Treaty country to broadcast a programme in Russian directly to Russian listeners, without passing through the Moscow „filter”. By that time Romania had distanced itself from the USSR, especially as regards its foreign and economic policies, therefore the Soviets unsuccessfully tried to convince Romania to give up the idea of such programmes. The German Service enjoyed, throughout the years, the collaboration of personalities of great repute: German speaking poets Alfred Margul Sperber and Franz Johannes Bulhart, actress Margot Goettling, who graduated from the Drama Institute in Vienna, exceptional radio presenters and hosts: Ingrid Kloos, Heidemarie Papp, Otto Schneider, Erwin Sacher or Ilse Borcea, as well as talented journalists, such as Richard Lang and Juergen Salzer. Programmes in Greek started being broadcast in 1950 and the staff mainly consisted of Greek nationals who were political refugees. The first team members included Elena Papadopoulos, Panas Panaitopoulos, Egon Steindler Petraru and Filareti Folea. The Yiddish language programme was set up in 1950, as part of the Department for National Minorities. One year later, the programme was transferred to the Department of Programmes for Foreign Countries (REPS). The programme ceased in 1955, according to some sources. However, historian Eugen Denize says that the programme was still broadcast in 1957, being among the 11 foreign languages in which programmes were transmitted: Russian, English, French, Italian, Spanish, German, Turkish, Iranian, Yiddish, Greek and Serb. In 1952, Radio Bucharest started to broadcast in Italian, through the voice of the popular presenters Ugo Merola and Walter Bencivenga, and then the talented Florin Velcu, full of youthful energy. „The programmes started in 1952 with three one hour shows a day” remembers Mr. Velcu. 1955 was the year that programmes in Portuguese started to be broadcast. The first programmes were produced by two Portuguese nationals in collaboration with the young student Angela Mocanu. Soon afterwards, Jose and Tereza Ramos joined the team, but they went back to Portugal after the 1974 Flower Revolution. The starting point of the Spanish Service can be traced back to the 15th of March 1955, at 8.00 hours pm, local time. The mastermind of the Spanish programmes was, in fact, Hortensia Roman, a political refugee in Bucharest after the Spanish Civil War. The Serbian Service started its broadcasts in 1956 with Father Ghena Petrov. His programme, which targeted what was back then referred to as the Tito’s deviationist regime, became an epitome of the Romanian-Yugoslavian friendship in the 60’s as a result of the change in attitude of the Romanian leadership. On July the 15th, 1957 the Turkish Service was set up, among its „founders” being Mrs Melike Roman. The Turkish Service was dismantled on the 27th of March 2004, along with the Bulgarian, Greek, Hungarian and Portuguese ones. On the 17th of September 1957, the radio announcement „You are tuned to Radio Bucharest” was first aired in Persian. This was made possible with the generous help of the Saidi Masuds, a refugee family. In the spring of 2000, the programmes stopped for a very objective reason – the complete absence of a „new generation” of Farsi speakers to take over from the radio presnters who had entertained their listeners for decades on end. The Arabic Service began broadcasting on 5th April 1961 and had its glory days during the 1960’s and 1970’s when Romania was promoting a policy of cooperation with both Arab states and Israel, thus contributing to the Middle East peace process. Nowadays, 50% of the editors and programme producers are Arabs and the rest are Romanians who studied Arabic at the University of Bucharest. Among the founding members of the Arabic Service were Nader Karajoli and his wife Suleima Samman. A presentation brochure published by the Romanian Radio and Television Broadcasting Corporation in 1982 gave a statistical account of the programmes broadcast in foreign languages by the state-controlled Romanian Radio: in 1982, as opposed to 1961, there had been an increase in the broadcasting hours per year from 8,570 to 10,807: programmes were broadcast in Arabic (2h/day), English (6h15/day), German (1h45/day), Greek (1h/day), Persian (1h/day), Italian (2h/day), Portuguese (1h/day), Russian (1h15/day), Romanian (3h/day), Serbian (1h/day), Spanish (4h30/day), Turkish (1h/day) and the programme entitled „Tourism and Music”, a multilingual programme providing tourism information in English, French and German (30min/day). Following the anticommunist Romanian Revolution of December 1989, Radio Bucharest became Radio Romania International, the programmes acquired a whole new format, the staff welcomed young members, and the RRI services turned towards the future, towards once again building a bridge between Romania and the democratic world and re-establishing the link between Romanians living abroad and those back home, a link that had been weakened on purpose by the totalitarian regime. During the 1990’s three radio channels gradually developed under the umbrella of Radio Romania International, addressing the target audience: „Romania Live” for Romanians abroad; „Open Radio” with programmes in major international languages: Arabic, Chinese (a programme set up in 1999), English, French, German, Italian, Portuguese and Spanish (the Persian Service stopped airing programmes for reasons of staff shortage); and „Hertz Bridges” with programmes mostly for neighbouring countries in Bulgarian, Hungarian, Ukrainian (programmes produced after 1990 with a view to improving communication with the neighbouring states) along with the programmes in Greek, Turkish, Russian and Serbian. Another novelty were the programmes broadcast in the Aromanian dialect, which started in 1991. On the 23rd of March 1991, RRI started broadcasting in the Aromanian dialect for the Aromanian communities in the Balkans, and not only. This bond that we had shared and that had been broken by the hardships of old was now brought back to life in a deeper and more profound shape. Hungarian programmes were first aired on the 14th of August 1993, against the background of an overwhelming need felt by Romania and Hungary to overcome their common problems, in particular the historical problems, so as to help chisel their European and Euroatlantic future as two former communist countries that history had placed side by side. The last programme in Hungarian was broadcast by RRI on March the 27th, 2004, when all barriers were pulled down between the two countries and new forms of direct communication emerged. Programmes in Ukrainian had been also broadcast in Bucharest in World War Two, but the genuine birthday of programmes in Ukrainian is September the 25th, 1994. Therefore, it’s been 10 years of broadcasts in the language of our neighbours with whom we had and still have a lot a extremely interesting subjects to discuss. Programmes in Bulgarian started on December the lst, 1995, against the background of democratic developments taking place in Romania and Bulgaria after the break-up of communism; these broadcasts were meant to bring the two countries closer to each other and consolidate the relations between the Romanians and the Bulgarians. The last show in Bulgarian was broadcast on 27 March 2004. On October the lst, 1999, RRI started to produce programmes in Chinese. The editorial staff benefited from the contribution of Chinese nationals residing in Romania, and Chinese language experts such as Yang Shunxi, a former professor of Romanian at the University of Beijing, as well as our colleagues from Radio China International, the Romanian language department, Li Jiayu and Shen Qinchen. In 2004, RRI repositioned itself on the international radio broadcasting market. 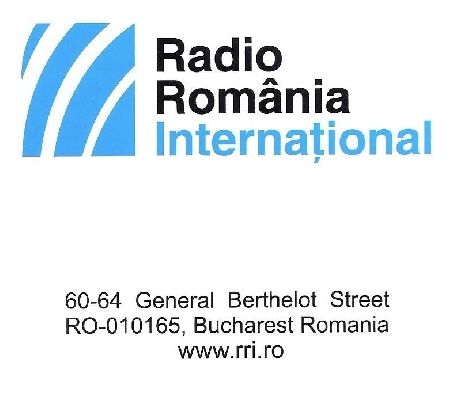 RRI was re-organised into two international stations: RRI 1, broadcasting round the clock in Romanian, and also in the Aromanian dialect, and Radio Romania Internaitonal 2, broadcasting in 10 foreign languages: Arabic, Chinese, English, French, German, Italian, Serbian, Spanish, Russian and Ukrainian.The two radio stations have the same technical and economic staff. According to the decision of the Romanian Radio Broadcasting Corporation Board, broadcasts in Bulgarian, Greek, Hungarian, Portuguese and Turkish ended late in March 2004; a Multimedia Group was set up for online productions and international radio coproductions. RRI covers large areas in Europe, as well as urban areas in the two Americas, the Near East, Asia, Northern Africa, Australia, broadcasting or re-broadcasting programs on short-wave (analogue and digital), via satellite, the Internet and cable networks. Overall, RRI broadcasts a 54-hour program per day, on three channels. RRI’s editorial content (features and shows) in Romanian and foreign languages can also be listened to, on air and online, on partner radio stations in Europe and North America. A large part of the shows are also available for listening on demand, for a week since they are first broadcast, on the site of Radio Romania International: www.rri.ro. RRI actively uses social networks and content sharing platforms (Facebook, Twitter, Flicker). Some employees and contributors are bilinguals or native speakers, and this has brought added value to the RRI programs. The station encourages internships and scholarships. Volunteers and interns from Spain, Germany, Italy, Austria, Portugal, France and China have thus acquired special competences at RRI. As of March 2001, RRI 1 has been broadcasting daily shows for the Romanian communities living abroad, under the heading “Romania, live”. The program is completed by a summary of the shows produced by the main departments in the Romanian Radio Broadcasting Corporation and the Theatre Department, which add up to 2,424 hours per day. This summary is broadcast around the clock via the satellite, on the Internet (in Real Audio), and also on short waves (to Central and Western Europe and Israel), 8 hours per day. RRI 1 has daily broadcasts around the clock in Romanian, and three 30 minute-broadcasts in the Aromanian dialect, which add up to 9,300 hours per year. RRI 2 produces and broadcasts shows in 10 foreign languages: Arabic, Chinese, English, French, German, Italian, Serbian, Spanish, Russian and Ukrainian, totaling 25.5 hours per day. In other words, 9,300 more broadcasting hours per year. This history of Romanian international broadcasting would not have existed, however, if our programmes had not reached you, and especially if you had not liked them. A possible sign indicating that we have won your confidence is your participation, always in large numbers in our general knowledge contests, held in the past 20 years. Your answers to the questions asked as part of RRI’s contests have proved that you take a keen interest in information on Romania’s people, history and places. Those who have won stays in Romania, namely listeners from Germany, the US, France, Great Britain, Russia, Brazil, Italy, Ukraine, Belgium, Spain, Austria, China, Ireland, Denmark, the Netherlands, Byelorussia, Morocco, Sweden and Serbia – came here as RRI’s listeners and friends and all, without exception, left as Romania’s friends! And the history of this solid friendship continues!